In November we launched a bunch of cool new features. To make sure you’re getting the most out of Square, here’s a roundup. No matter where you are in the U.S., you now have access to Square Payroll, the fast and easy way to pay your team. Square Payroll works seamlessly with your existing Square account so you can import timecards and tips, and pay your team in just a few clicks. We’ll even withhold, file, and pay your payroll taxes for you. Get started with Square Payroll. We’ve partnered with industry-leading providers so you can offer your employees affordable health insurance, retirement savings plans, workers’ compensation insurance, and pre-tax benefits. Choose whichever benefits best fit your business and budget — benefits start at $0. Check out new benefits options. Tracking labor costs with Square Employee Management is now even easier with multiple wages. You can add additional wages for any employee and they’ll be asked to select from their available wages each time they clock in for a shift. Learn more about multiple wage options. Holiday-themed physical gift cards are here. Get your business ready for the holiday rush, and offer plastic gift cards at your business. Choose from 10 different holiday designs that can be reused for store credit. Order holiday gift cards. Recently, Square announced that Weebly, an eCommerce website platform, was part of the Square product suite. Since then, we’ve been working hard to bring you more integrated features to grow your business in person and online. If you use Square Gift Cards and have a Weebly online store, you can now let your customers know that they can pay with Square Gift Cards at checkout. Learn more about the Weebly online platform, and sign up here for Square Gift Cards. 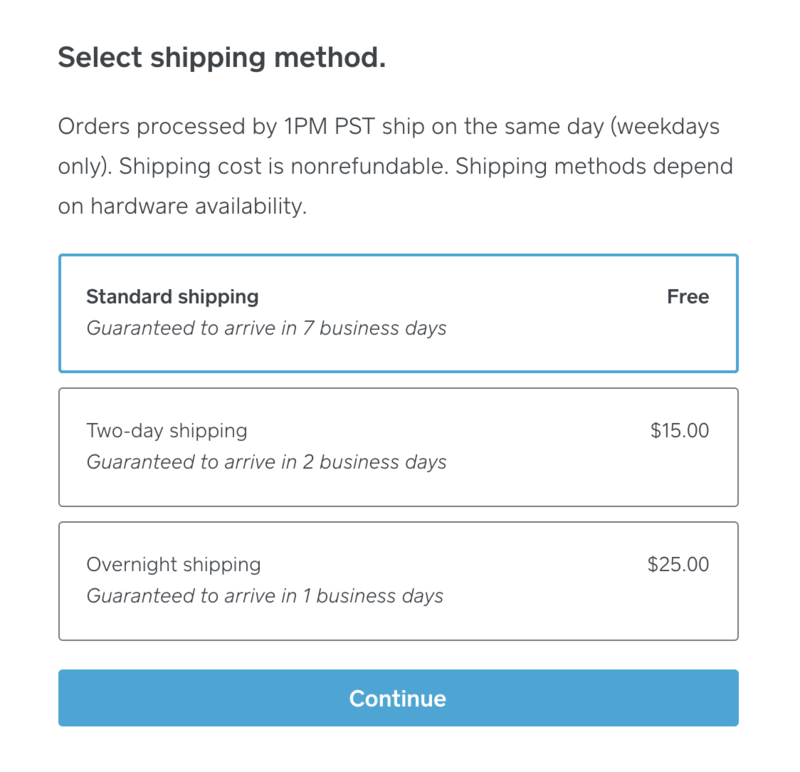 Now you can get your hardware or accessories quickly with expedited shipping. For a small fee, you get even more speed when you need it. Just check out through the Square Shop and select one of our shipping options: overnight, two-day, or standard (standard 5–7 business day shipping is still available at no cost). Orders placed before 1 p.m. Pacific on weekdays will be processed on the same day. Available all across the U.S. Shop hardware and accessories now. Save time whenever you create an invoice with new default settings. You can now set your preferences for invoice reminders, due dates, messages, and more in your online Dashboard. They’ll be applied to all new invoices created on mobile or the web. Set your invoice defaults here. Now you can set up a new Point of Sale terminal in Square for Restaurants without having to duplicate same settings from previous terminals. Set up your new Point of Sale settings with Shared Settings in Dashboard. Get started with Shared Settings in Square for Restaurants. 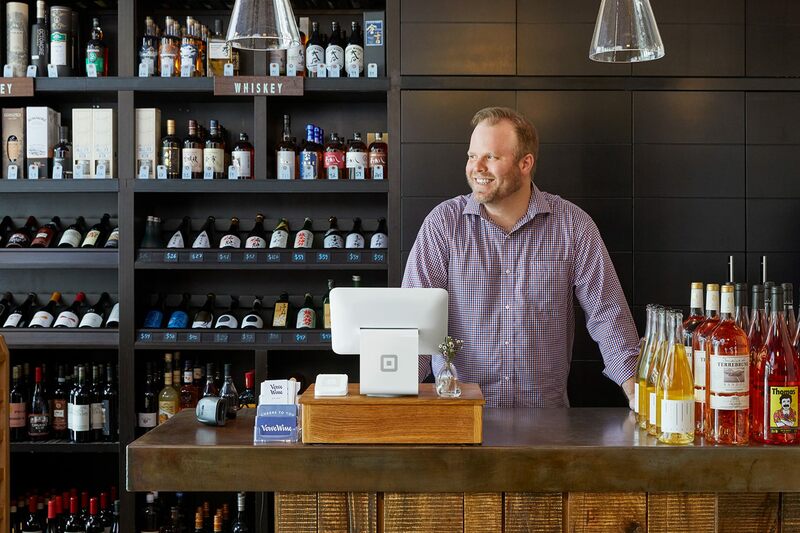 Square’s partners provide everything from accounting software and eCommerce solutions to inventory and employee management. Here’s what’s new with our partners this month. With GoParrot, you can create an easy-to-use food ordering experience through your own website, mobile site, and Facebook Messenger. The Square integration notifies restaurants directly in Point of Sale when an online order is placed, and it can print customer location on your kitchen tickets to facilitate delivery. Learn more about the GoParrot + Square integration. Want to know about other recent product launches and updates? Take a look at the hottest features we launched in October.